The United Parcel Service (UPS) is the largest for-hire shipping carrier in North America with FedEx trailing in not very close second place. It has over 108,197 vehicles in their fleet, 2.56 billion in annual mileage. 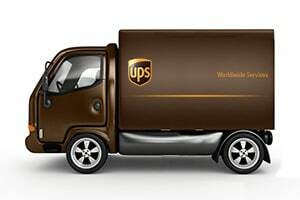 Incredibly, there are 90,852 UPS drivers that deliver over 19 million packages globally every day. With so many vehicles on the road, accidents are inevitable. There have been 4,816 reported crashes with UPS since 2012 Of these truck accidents, 84 occurred in Maryland. In the first three months of 2017 alone, 19 people have been injured in UPS vehicle accidents. Most car and truck accident cases do not involve a significant liability dispute. The conflict is regarding the settlement value of the injuries. In theory, this means who the defendant is should be of no consequence. The jury should focus on determining the appropriate amount of money damages to make the victim whole. But in the real world, it makes a difference who the defendant is. When we are suing a sympathetic grandmother of 11, this has an impact on jury awards. Conversely, few people have warm and fuzzy feelings about UPS, even among those that know and respect the company. So the trial value of personal injury claim is higher with UPS and this higher trial value leads to a greater settlement value. As a practical matter, because UPS trucks cause more damage than passenger cars, UPS claims adjusters are used to dealing with larger dollar amounts. This also has a productive impact on settlement value. What Else is Different About a Claim Against UPS? Lawyers who regularly handle car accident cases are not always qualified to handle truck accident case against UPS. There are so many more weapons to determining how the accident occurred that required specialized knowledge of these cases. There are certain accident-related data may be stored. These vehicle are equipped with modern electronic information that can give you information on speed, airbag deployment, braking and a host of other data points to help ascertain whether UPS was at fault for the crash. There are also scores of state and federal regulations that might be relevant. There is an absolute arsenal of tools to help victim if you know where they are and how to used them. Our website has a number of tools to help victims understand the potential ranges of settlement value of their claim. We look at the settlement value for the type of accident or, even more telling, the type of injury. For many of these different variables, we provide statistics for the median or average trial or settlement value. Another helpful, albeit limited, tool is samples of settlement and verdicts involving the defendant. In very general and limited terms, it gives you a feel for how the settlement value of these cases depends on the jurisdiction, the severity of the injuries, and the economic loss caused by the injuries or death. 2015, Florida: $5,000,000 Verdict. Plaintiff is sitting at a stop light when a UPS truck made a left turn and crossed into plaintiff's lane, crashing head-on into the vehicle. The 28-year-old plaintiff is transported to a local hospital and diagnosed with a closed head injury, torn labrum of his left shoulder, and a lumbar disc herniation at the L5-S1 region. According to the plaintiff's neurologist, he had suffered permanent neurological injuries. The jury awards the plaintiff $5,000,000 in compensatory damages. 2015, New York: $2,760,000 Settlement. Plaintiff is a 60-year-old man and a passenger in the front-seat of a vehicle. While double-parked, the plaintiff's vehicle is struck by the defendant UPS truck. The plaintiff is transported to a nearby hospital and diagnosed with several herniations, the impingement of spinal nerves, and resultant radiculopathy. The plaintiff undergoes chiropractic manipulations, physical therapy, and five epidural injections of steroid-based painkillers. The man eventually has spinal cord fusion surgery. The case is settled pre-trial for $2,760,000. 2015, Connecticut: $3,476,025 Verdict. The plaintiff is a 25-year-old male traveling northbound on his motorcycle. The defendant UPS truck attempts to make a left-hand turn, and the plaintiff collides with the UPS truck. The plaintiff is taken to a nearby hospital where he is diagnosed with multiple facial and spinal fractures, severe road rash, and partial dismemberment of one of his ears. He undergoes surgical repair to reattach the ear and to repair the fractured bone around his eye. The plaintiff is unable to work for six months. After the trial, the jury awards the man $121,723 in past medical costs, $30,000 in future medical costs, $24,302 in past lost earnings, $300,000 in past non-economic damages, and $3,000,000 in future non-economic damages. 2013, Connecticut: $3,883,132 Verdict. The plaintiffs' family member dies after involvement in a vehicle accident with a UPS driver. The plaintiffs bring a wrongful death lawsuit against the driver and UPS for vehicular liability. After a trial, the jury awards the plaintiffs $3,883,132. 2012, California: $2,861,340 Verdict. The plaintiffs' family member is driving on an interstate when a UPS tractor-trailer makes an unsafe lane change, causing the accident. Unfortunately, the plaintiffs' family member does not survive. The plaintiffs file a lawsuit seeking non-economic damages. After a trial, the jury awards the plaintiffs $2,861,340. 2007, Florida: $483,011 Verdict. The plaintiff is driving his vehicle through an intersection when he is broadsided by the defendant UPS driver. The plaintiff suffers a C2 hangman's fracture that requires three-level anterior cervical discectomy and fusion, a fractured wrist, fractured thumb, and radiculopathy. The jury awards the plaintiff $101,026 in past medical expenses, $50,520 in past lost earnings, $231,465 for future lost earnings, $70,000 for past pain and suffering, and $30,000 for future pain and suffering. 2007, New York: $600,000 Settlement. The plaintiff is a 32-year-old male. A UPS truck makes an unsafe turn, causing a collision with the plaintiff's motorcycle. The plaintiff suffers a spiral fracture to the ankle, requiring surgery with the insertion of ten screws and one plate. After the trial, the jury awards plaintiff $600,000. Our law firm is based in Maryland. Most of the truck collision cases we handle are in the Baltimore-Washington area, but we handle significant injury cases throughout the entire country. If you have been harmed in an accident with a UPS truck and want to consider a lawsuit or a claim for an out-of-court settlement, call one of our lawyers at 800-553-8082 or click here for a free no obligation Internet consultation.